One of the most exciting and at the same time truly scary experience is to travel solo. Filipino culture seem to frown upon this, thus many Filipinas today are challenged to prove all the scary stories that discourages many from traveling solo. Yes it may be more fun to travel with someone, but all the anxiety and taking the plunge will be worth it. You might be surprised how stepping out of your comfort zone can make you a tougher, wiser and better woman. So here are few tips and must-dos to help you make the most of your solo vacation. Know your way around. Heading to place where you don’t understand the language? Taking public transpo might be scary but this is the best way for you to go around compared with taking a cab all the time. It is cheaper and safer so read up and research how to go around town before your travel date. Do ask around if you are not sure about your way, many locals will be more than willing to help you find your way around their town. Sample local fares. Want to intimately know a country – try the local cuisine! Skip the usual food chains and pick out a local eatery to sample what the place has to offer. Track down the best places for a signature dish like the best pizza in Napoli, or the best Pad Thai in Bangkok! Ask your hotel concierge or the local for recommendations and their delicacies, check out the best dining spot in town and have a fun-filled gastronomic experience! Find hidden gems. Once you’ve done the usual touristy jaunts, go explore the less explored side of town to discover hidden gems. Solo travel allows you to do spontaneous activities without worrying about company. Ask locals about the “other” must-sees in their place aside from the well-known tourist attractions. Who knows, you might even have some of the most memorable part of your trip this way. Try to attend a festival. Many countries around the world are known for their festivals. 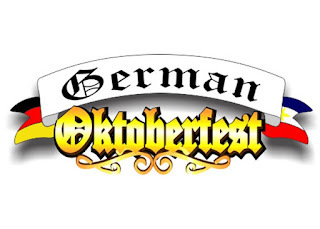 Think Oktoberfest in Germany, Carnaval in Brazil and many others. Attending one of these could be a once in a lifetime experience for you. So plan your trip early on and make sure you are in the area when the festival is celebrated. Find a great spot, make sure your camera better full charged and snap your time away! You’ll have a grand time losing yourself among festive people, sights and sound of celebration. Immerse in the Nightlife. Get to know a city’s hip scene by trying out the nightlife. Make new friends in the city and subtly tag along with them when they get a few drinks or party out. They will be eager to show you their usual hang out and the city’s club scene. Friendly reminder though, keep yourself sober and veer off from compromising circumstances especially since you are a female on a solo vacation!